Calc-U-Synth is an emulation of the Casio VL-Tone, the classic digital calculator/synthesizer hybrid released in the summer of 1979 and manufactured until 1984. The VL-Tone can be run in one of two main modes: calculator or synthesizer. The synthesizer is a monophonic instrument that has 5 preset sounds as well as a user programmable 6th slot called ADSR. 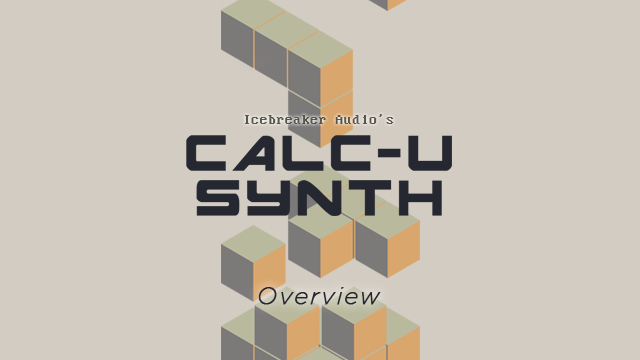 Calc-U-Synth is a sound synthesizer software that was created using the Reaktor Blocks framework, which means that if you own the full version of Reaktor, you can incorporate the blocks into your own creations. Consider using it with this Reaktor drum machine and synthesizer. Calc-U-Synth sound synthesizer software was designed to present the full capabilities of the VL-Tone’s programmable features in a more convenient interface, while retaining the character of the instrument. Great care was taken to measure and reproduce every aspect of the original accurately. The VL-Tone had its own built-in speaker on this synth software, which was analyzed and modeled for an authentic tone. For added lo-fi realism, the key-click sounds of playing the instrument were also sampled and included. You can dial in as much, or as little as you like with this sound synthesizer software. The sound was then expanded using a number of effects and performance options including an arpeggiator, circuit-bending glitch controls, and a filter & delay effect module. Icebreaker Audio, the brainchild of Adam Hanley, was created in 2011 as an outlet for boutique product concepts and personal obsessions. Adam's name appears in the credits of many high-profile Kontakt and Reaktor products, working on anything from African drums to additive synthesis. 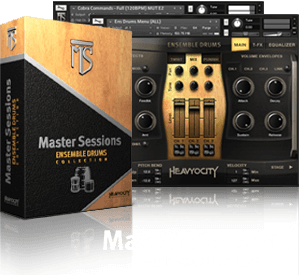 He is also responsible for the Kontakt scripting at Heavyocity, pushing the platform to the limit in order to bring even the craziest of ideas to life. Calc-U-Synth was born out of years of R&D into lo-fi synthesis and vintage digital electronics, combined with Adam's deep appreciation for the digital retro charm of the VL-Tone. The creative possibilities are endless with this sound synthesizer software.